Home / Too cool at the prom! I had to share. 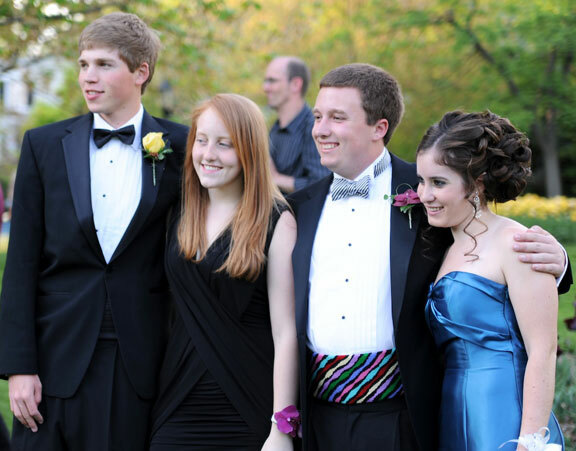 One of my dearest friends stitched a cummerbund for her son’s prom. Renee whipped it out in just a few weeks, it was then off to the finisher and back in time for the prom all at Wil’s request. Doesn’t he look handsome? Hayley, the redhead, is of course gorgeous and she stitches too! Renee’s family is a creative one. Renee Wilson is the owner of Bijoux Jewels in Baltimore, one of Baltimore’s best jewelry stores and her husband Harry Connolly is a photographer extraordinaire. So I guess we shouldn’t be surprised that their son has a creative streak too. I wonder what the future will hold for him. Just a little sign that needlepoint isn’t only for grandmother’s; it can be cool! What a gorgeous group!!!!! Thanks for sharing. Too sweet. What a wonderful idea for my husband. Do you know what kinds of threads she used that give such a high sheen? the cummerbund is from elizabeth turner collection, the threads are planet earth and silk and ivory.